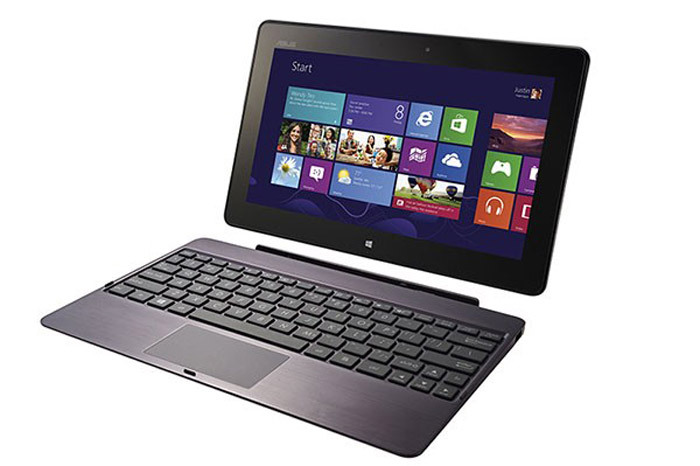 ASUS is more and more prepared to embrace the arrival of Windows RT and Windows 8, starting tomorrow. After unveiling the ET2300 AIO Windows 8-based PC, the Taiwanese company has announced the first ASUS Windows RT tablet (and likely the first to market) – the VivoTab RT. The ASUS VivoTab RT boasts just 8.3 mm of thickness and weighs 525 grams only. This makes the tablet one of the thinnest and lightest tablets available – yet it still comes with a 10.1-inch multi-touch Super IPS+ display at 1366 x 768 pixels and a powerful NVIDIA Tegra 3 quad-core chip. The VivoTab RT also offers 2 GB of low voltage DDR3 memory, 32 GB or 64 GB of storage, 802.11n Wi-Fi, Bluetooth 4.0, a front 2 MP camera, scratch-resistant Corning Fit Glass, 1080p HD video recording and a 8 MP rear camera. The VivoTab RT battery promises up to 9 hours of use but when using a dock the usage life goes up to 16 hours. Right now pricing is unknown.